‘Space Racer’ 18×24 inch acrylic on stretched canvas painting. With the moon behind and open road ahead, little astronaut is all ablaze and tearing up the road in a red big wheel trike. Ummm, unless you want to get run over, please step aside and GET OUT OF THE WAY! I’ve made available 10 signed limited edition prints and posted them up at my etsy shop here. The listing will say ‘sold out’ once all 10 have been sold. Each print measures 8×10 inches. Update: This piece is now available at RedBubble on a variety of fun products! 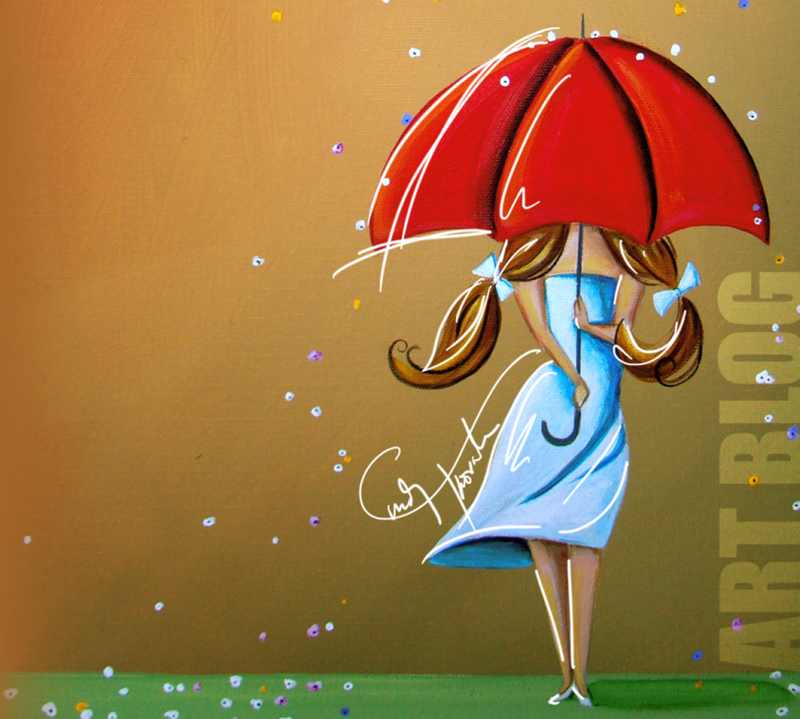 This illustrative painting measures 18×24 inches – acrylic on stretched canvas. What originally was going to be a little astronaut floating in space, turned into a bungee jump from a big beautiful balloon in the sky. Yes, the bear will make some appearances in this series. (someone had to work the balloon!) 10 signed limited 8×10 prints have been made available in my etsy shop here! Stay tuned for more space adventures. Update: This art piece is now available on a variety of products at RedBubble!